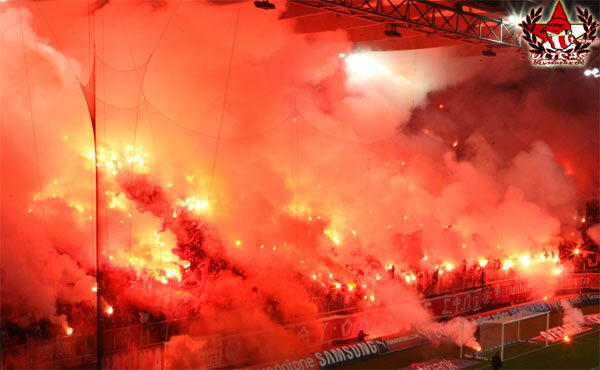 Soccer fans in Europe have special way of supporting their favorite team. For them it's not enough just to cheer and sing, they do so much more. 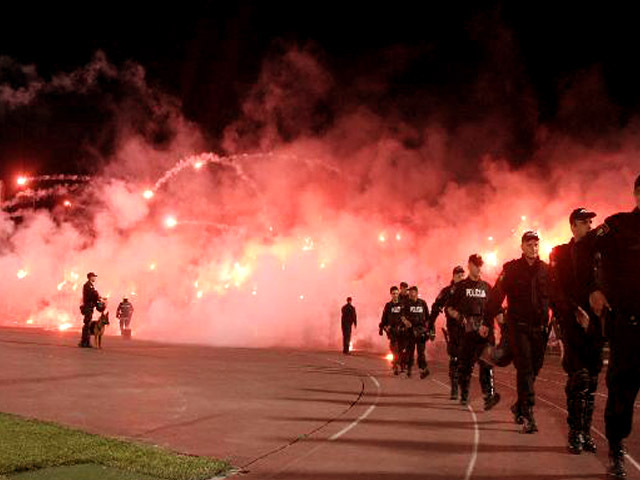 Extreme supporters are called "Ultras", they support with big passion. 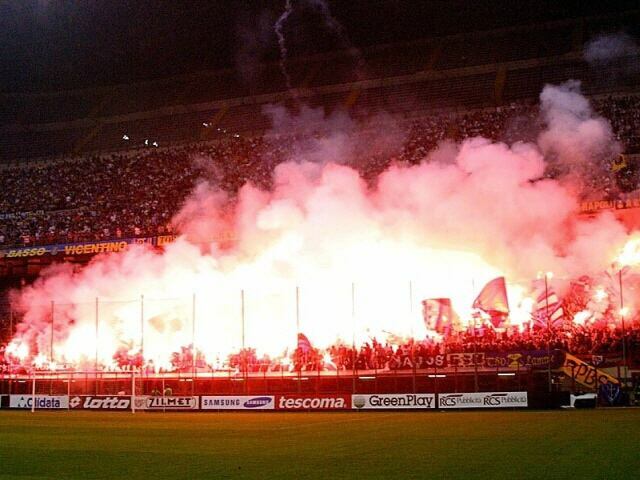 One important part of their supporting style is pyrotechnic. 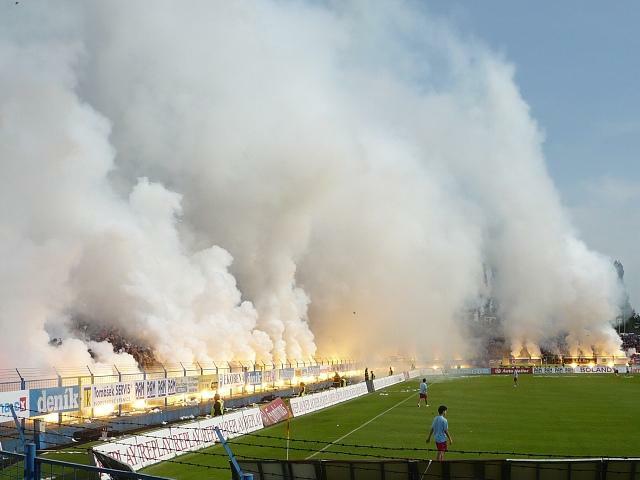 Police, government and soccer federation try to forbid usie of pyrotechnics on stadiums, but it seems they don't care to much about that. 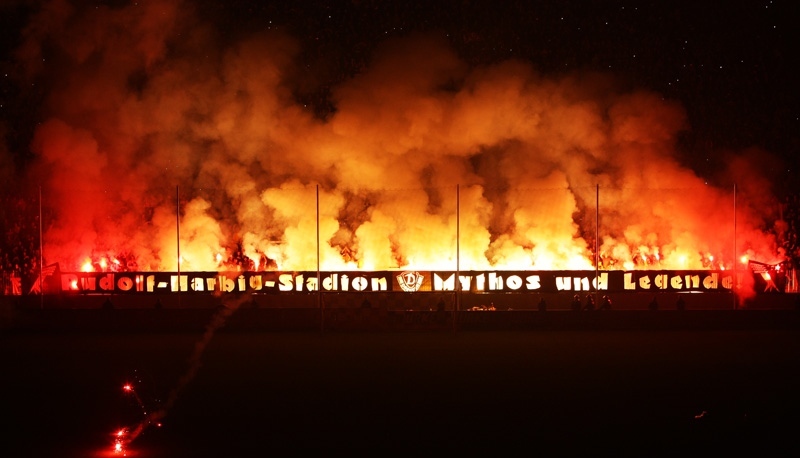 Every week European soccer stadium burn from their flares. 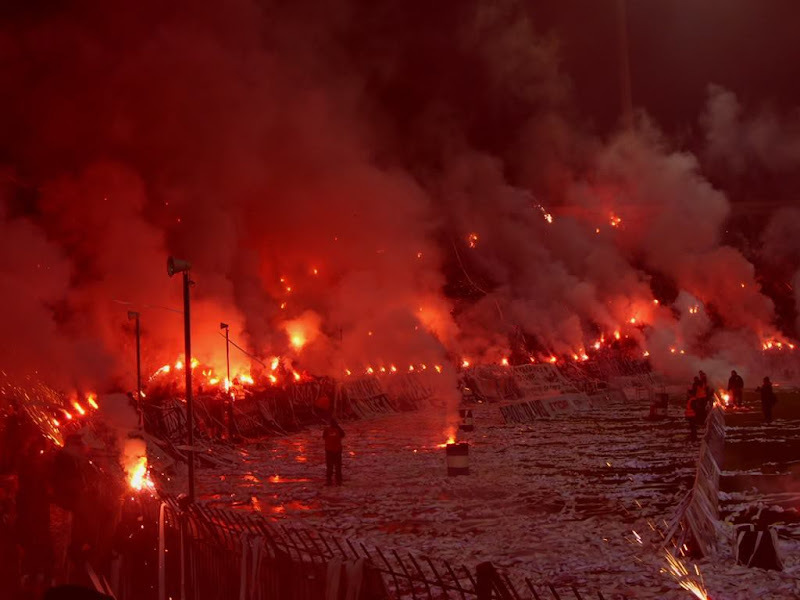 I must admit it looks very nice on photos and videos, can't imagine how it is to be inside of that "hell".. Very fanatic, dangerous and extreme. Enjoy in this pics (btw all this photos are from last few years). 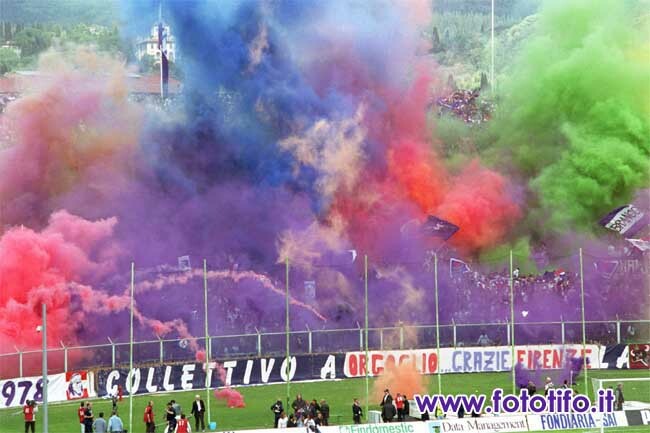 Find out more about European extreme soccer fans on www.ultras-tifo.net. 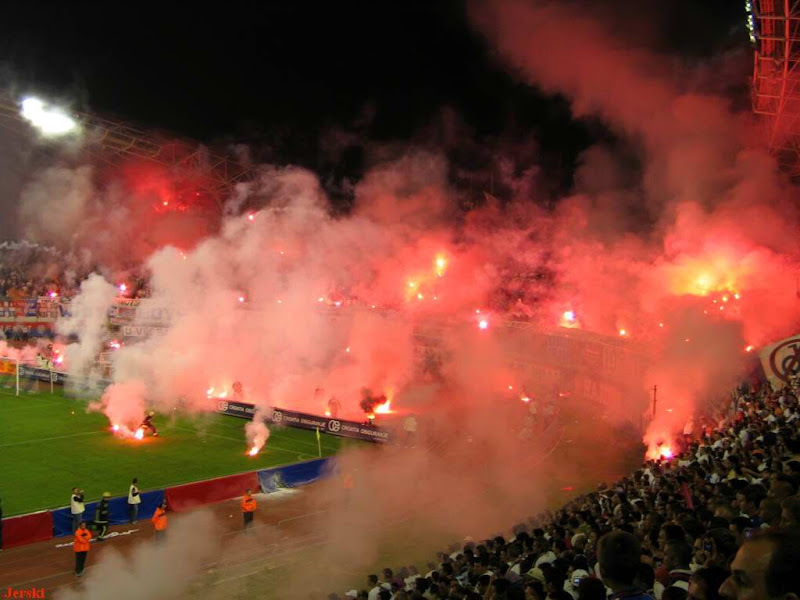 Soccer or Football passion doesn't compare to the "passion" Americans have for their sports. Not even close. ^hahah, are you kidding me? you apperently know nothing about the fans of the ENTIRE WORLD who love soccer more than any NFL/MLB/NBA fan could imagine. 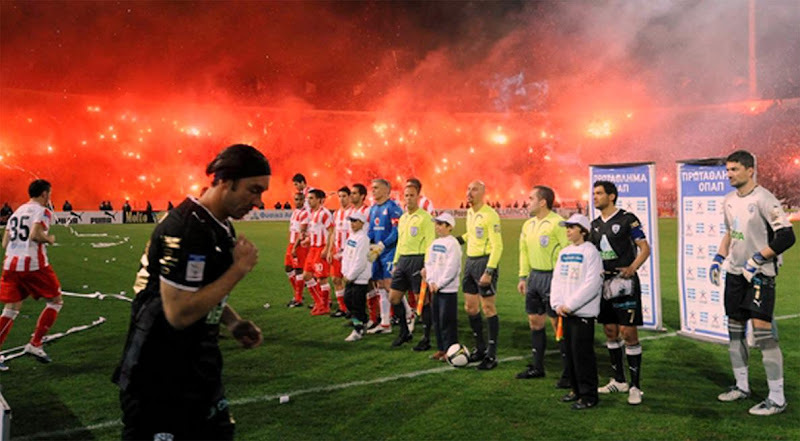 Riots occur after many games when their teams lose is other nations. American's are so stupid, and I am an American ashamed of people like you. Unless I am missing the sarcasm? Wrong. 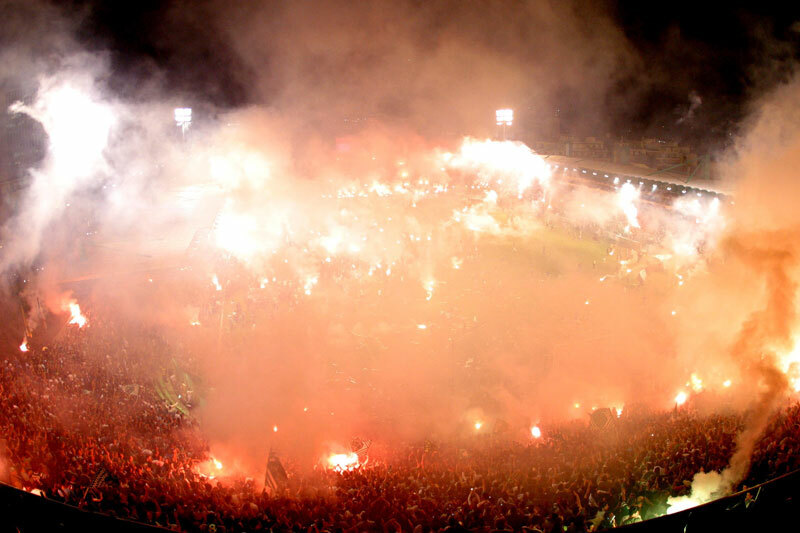 In Brazil soccer is more than "passion". It is a life style, a religion. Americans seat on their butts to watch a bunch of guys play a sport they don't even play themselves. 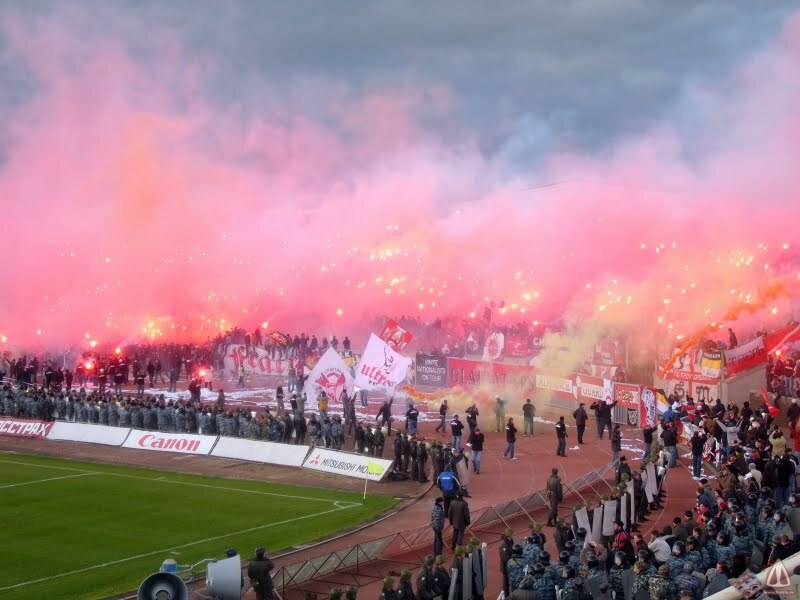 Have you ever been to a european soccer-match? or are you just pulling these "facts" out of your behind? Turkey is not an European country. "Football passion doesn't .....yada.....yada.....not even close"
Irrelevant of truth, this is a stupid statement. @10:39AM Do you know what you are talking about? Do you know what its like to be with 110,000 people at Azetca Stadium in Mexico City when America plays Chivas? Its nothing like Yankees-RedSox, 9'ers-Cowboys of the 90's, Lakers-Celtics. The thing you have to understand about these teams is the family are fans of the teams for several generations. You don't find kids from Hull rooting for Man U. There are so many teams in such a small country that you have a lot of municipal pride. In the United States, the country is so big there are so many areas that aren't even represented by professional teams. Add to that, you have fragmentation in the United States about what peoples favorite sport is. In the rest of the world for the most part, there is only one sport. That my friend is a lie. I've seen first hand the passion us Americans have to say football/basktball/baseball, but it is nothing compared to the fanatacism that is displayed by these fans. Soccer is in there blood and it is so much apart of the culture that they will fight and kill for the team they love. When was the last time that you saw a Yankee's fan and a Red Socks fan start a riot? Not lately am I right? Well in South American countries and in European countries people riot.....alot. People have died for the passion they have for the sport. Simply put, American Passion for sports pales in comparison to other nations. Nice pics. Just a note: Russia isn't in Europe. I really hope that was meant to be sarcastic. How's this? I think there is problem with people. Europian people are more like street fighters and US people are more like gangsters in some area or nice in other area. 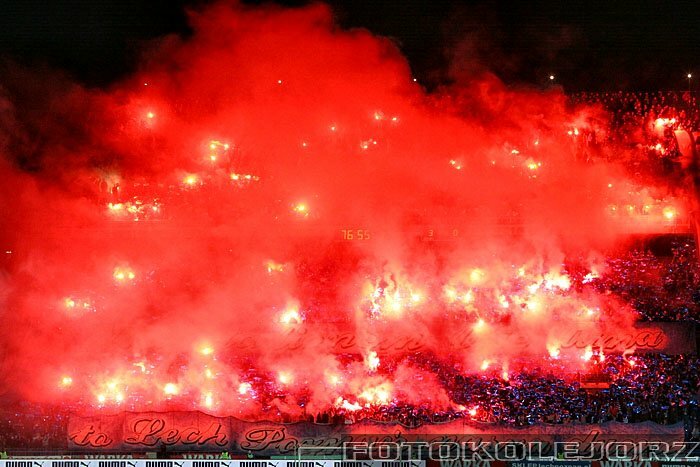 I am from Europe(Bosnia) and a member of BH Fanaticos, and and I have been to soccer games in Europe where we used pyrotechnics,and it's an amazing feeling. 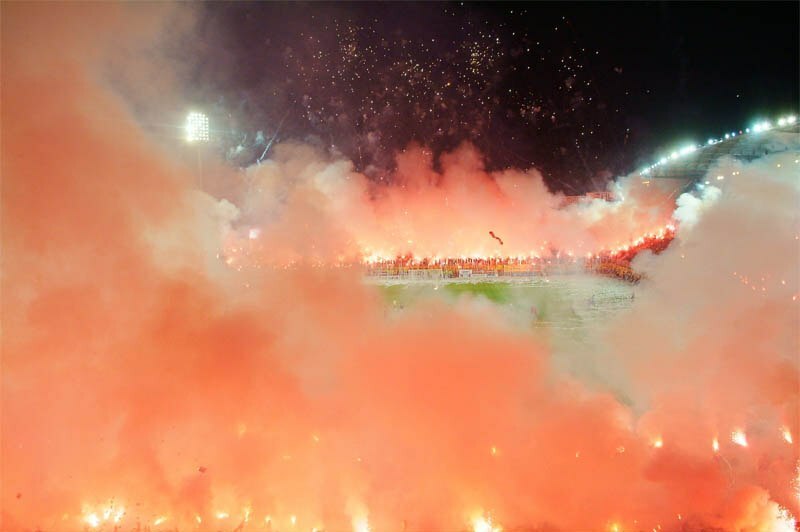 You really have to experience the whole thing its great being inside that hell when its burning. 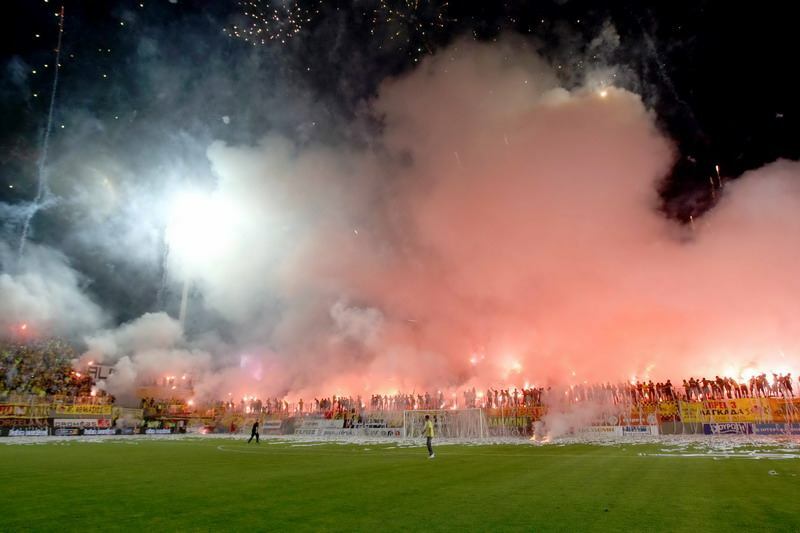 I have been to football gmaes here in states but it wasn't as fun being in the stands without pyros. Great pics and videos, also check out BHFanaticos on youtube! 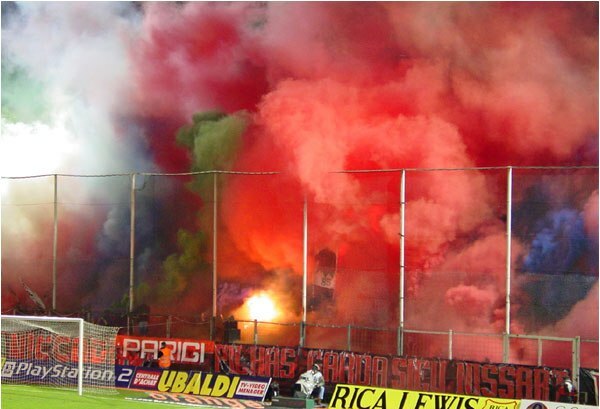 "Soccer or Football passion doesn't compare to the "passion" Americans have for their sports. Not even close." 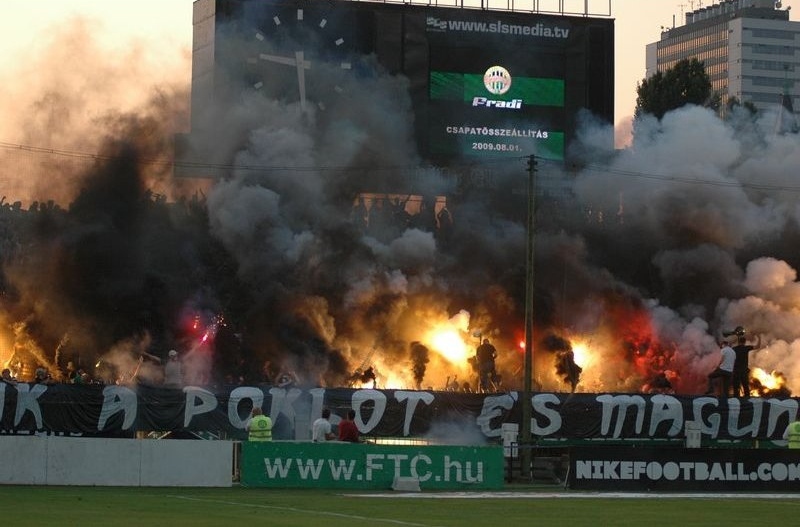 Football is tribal religion in Europe. ps: Turkey's in Europe, as Israël ! 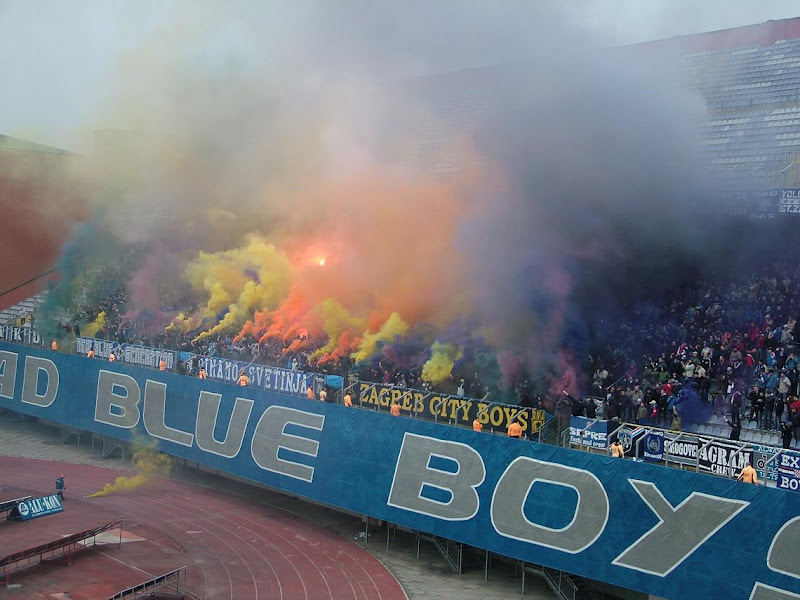 Loud and proud since 1986 .. Bad Blue Boys of Dinamo Zagreb !! No surprise -- you have to do something to make soccer interesting, 'cuz the game itself sure isn't. Carbon Footprint and Air Polution be dammed! We need our fireworks. Best video is Beşiktaş in Istanbul. 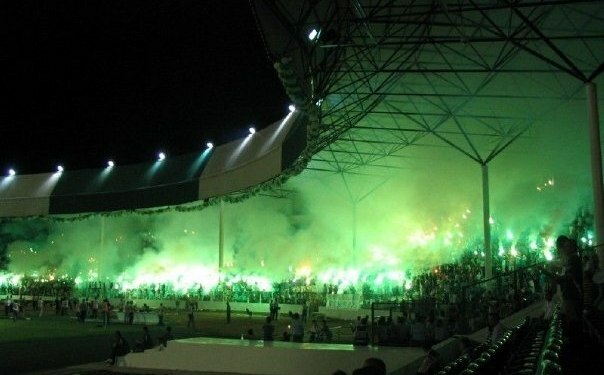 Great supporters, great stadium near the sea. Sport in America is a joke! the fans in Europe make the American fans look like they are watching a film in a cinema! 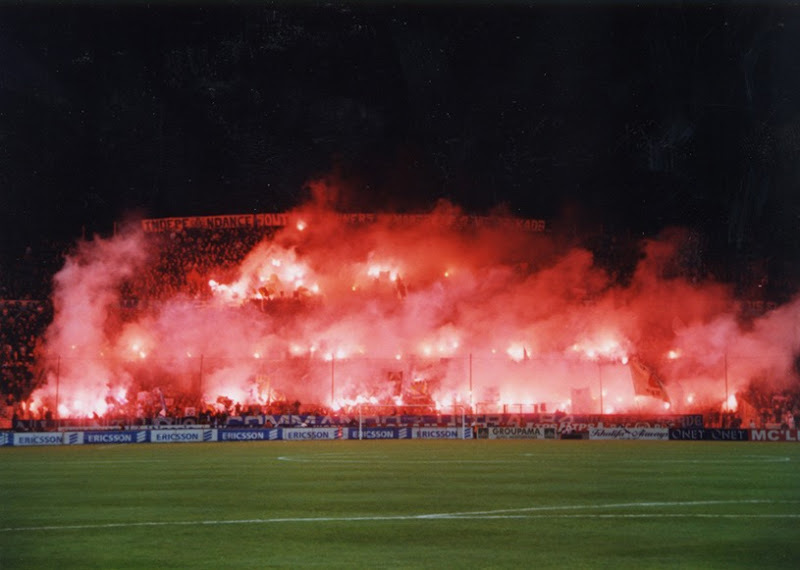 your sports are crap if they were really that good the rest of the world would be playing them, football is the most popular, passionate, and intresing sport in the world! american football is just another version of rugby but with made up rules, helmets and shoulder pads, baseball was origanally an english sport but was stolen by Americans because it was too crap to be played in Europe, basketball is the best sport you have come up with but thats not really made that much success worldwide wher as football and dare I say Cricket! has aswel mainly in asia. 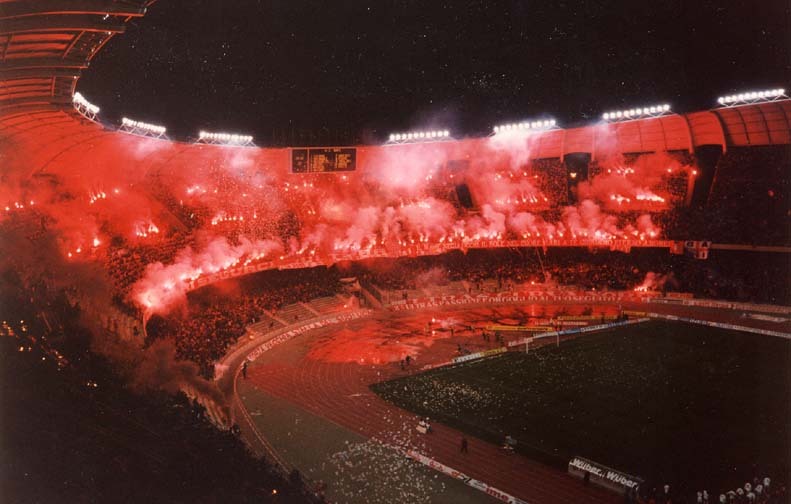 usa dont understand football, and wont do it, so they wont feel the passion u feel in europe (not only in the stadiums but also in the bar, or in your house). you didn't see anything like this. Some people don't get that although some of these countries aren't in Europe they are governed by UEFA so are considered as European in football hence why their teams get entry to the Champions League so stop trying to be a smart arse and saying they are not European.